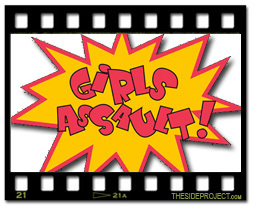 What is Girls Assault and how did it come about? 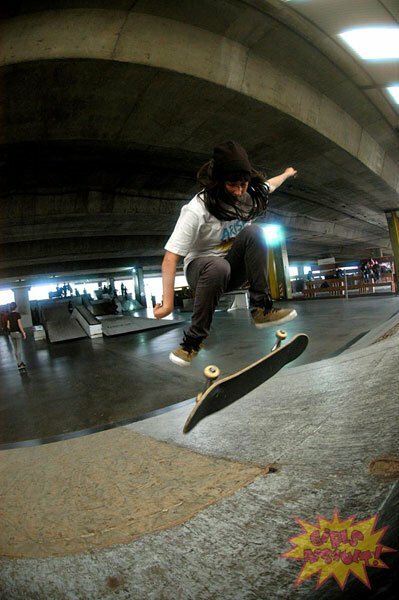 Girls Assault is a female skate event, which started as “assaulting” a skatepark, only for girls… The idea behind it was at the beginning, to stimulate girls in skating, gather them so they can meet each other and let them learn more about skating. We scheduled several activities: an ensemble of skate, muscle stretching, skating clinics by the most experienced girls, free skate park and gathering dinner for them all. After realizing how many girls were actually attending the event, we decided to add a demo by the Girls Assault team. Then after organizing the Poseiden Tour and achieved a girl contest with 2 categories in it (starters and advanced), we decided to add the contest to the event. It’s all thanks to Backside Skatepark, whose managers had given the park for free since 10 am to 3 pm just for girls. The entrance was denied for guys while our activities are on, then we open doors to regular public for the contest time. With my mate Daniela Quintabani, who helps me lots, we created this activity day trying to integrate the girls, so they can learn and share a new and nice experience, trying to pass on to them what we feel while skating. The event is financed by sponsors, and is made by heart and effort. Well, I wouldn’t call it “business”, its more like a project or organization. We are involved in this, some of the girls of the first skater girl generation, Daniela Quintabani, Agustina Brada and me (Deeny Suarez). And we got lots of help from other skaters from the team, who are the most experienced, doing the scheduled activities (clinic and classes). The organizers roles are the logistics side of the event by itself, and to be in every detail, so the event day won’t have any flaws. Of course, there are some colleagues that helps in some other things, just for the sake of helping. 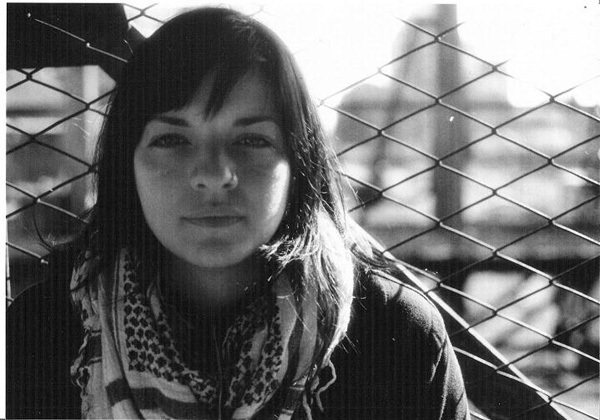 For our website (www.girlsassault.com.ar), about what is going on in Argentina and South America female skate, I usually prepare the articles and interviews, and Daniela is the webmaster…but we always work as a team. How is the female skate scene in Argentina and how has it changed in the last several years? Since I started 7 years ago the scene changed a lot. At the beginning there wasn’t even 2 girls at a spot. I always skated with guys, but after the Championships of Association Argentina de Skate (Argentinian Skate Association) and the Girls Assault, more girls have joined us. Now 4 years later they have increased their level and quantity as well. Today you can see at least 7 girls skating at a spot. We saw a big change when we did the Poseiden Tour with Vanessa Torres, Violet Kimble, Sophie Poppe and Alison Matassi. It helped to open a bit more, the minds of skaters and people in the scene, in and out of it. Besides, it was the first time in Argentina that we saw professional girl skaters. Nowadays, I can tell that 5 years of common work, gave results and we have very good skaters like Paula Costales, Eugenia Ginepro, Paula “Mecu” Videla, and from the new generation: Fiama Oviedo, Tatiana Di Santo and Florencia De Gregoris, and I bet there should be lots more girls throughout Argentina, that we hope to meet someday. What are some of the recent events you have organized? We organized the Girls Assault #4 with very good result in 2008. Some tours around Argentinian countryside, Games of SKATE and others event we supported like a women’s day. 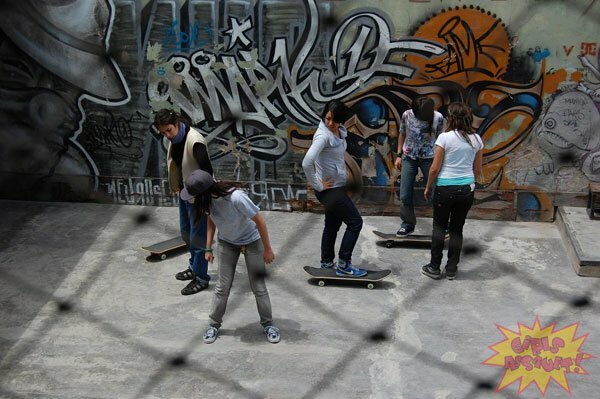 Many years ago the government give us a place in a famous park of Buenos Aires, where all girls did all sports styles (box, yoga, football) and we do the organization about the skate part (you can see the videos in the website). In 2009 we didn’t make any event only the women’s day 2009, but we renewed the website so all the girls can have their place supporting the south american scene and sharing info with South America. Some places they don’t have much access, like European and USA magazines and video footage. To be honest, there is a very good response, cause it happens that in other countries, now people know that there is Argentinian female skate and its growing up strong. Well, now I am living in Barcelona, so there is not much I can do now. Hahaha!. Around September I will be going back to Argentina for awhile so I can plan Girls Assault #5, for our 4th anniversary, with guests from other south america countries (Brazil and Chile). We are working on the idea of touring Peru and Argentina countryside, with the team girls and try to bring to life some ideas we have with national and international colleagues. Experience! Just get on the skate, try to learn, try things and if they can feel that spark that comes when u start, then do it, whatever happens. We have to be patient, be constant and know that everything is possible if you are willing to do it if you enjoy it and have fun with it. Coming back to my country to work on my project and skate with friends. But above all, to keep working to fulfill my dreams. The idea is to keep doing things for female skate, being Girls Assault, and to support every movement that comes to my country, so we can keep growing. Mmm, you are more than welcome to visit us whenever you want!!! I’d like to thank people, I think they deserve it more. You for the space and for everything you do for the female scene worldwide, burst from the other side of the camera, giving us the will to keep skating. To Ana Paula, to Micky for believing in what we do, you should know you’re effort gave a giant result. To every brand and people who gave their support always. To Daniela Quintabani, Agus Brada, EuG, Paulita, Mecu, etc, my family, my husband and my friends for the support and love. To those who didn’t believe in us 4 years ago and now are trying to get into this market to see some profits…THANK YOU too, cause that make us stronger!